Идеальны для фарма Чудесных оберегов. (Patch 4.3.2) Best Чудесный оберег Farming spot. Hey guys. If you are looking to farm Чудесный оберег Look no further than the Нестабильная порча in the Трон Приливов. As of Febuary 6th 2012. I would say that this is probably the best play to get Чудесный оберег. 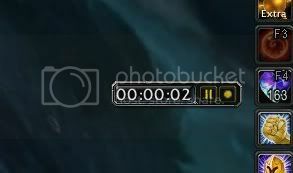 In order to get to the kill area you'll need to solo the first two bosses in the instance. After that the zone will open and the farming can begin! 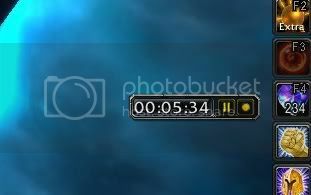 Actively clearing at full speed, I was able to farm about 140 of charms in 10 minutes. Never Approch the 2 Опороченный часовой's at the end of the hall. If you pull and kill these Sentries, the adds will stop spawning and you'll need to reset the instance. This is very important lol. Don't get close to them! Always have the instance on NORMAL difficulty. If you are not a class with self heals, bring a couple peices of food. This will help you heal up if you need it. GL! Happy Farming. Will Post if Hot-fixed. If you are farming these guys during the Love Is In The Air event, you only have to clear the first boss, Lazy Naz'jar. As you can walk around the second boss. Also, you do NOT have to solo this to get to the mobs. You can get a healer friend or whatever you like to help you if you have difficulties with the first boss, as you will not be kicked from the instance if they leave as it is not a Random Dungeon. 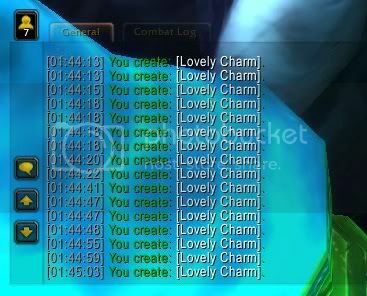 While these are a great source of the charms for the "Love is in the air event" If you can't solo Lady Naz'jar and cant get help I think the Deep Murloc Drudges in the gauntlet right after the elevator could be a poor man's alternative, also easily killed and constantly spawning, though not as convenient by any means. 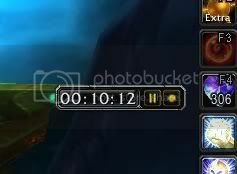 If you're wondering whether these are still high enough level to farm for Charms as a level 90 in MoP, the answer is yes, at least on Heroic mode. On Heroic mode they're level 85, just barely making the required "green" for getting charms. However, if you were previously standing AFK as a Hunter or other pet class so your pet could do the work for you, be careful on Heroic, in Cata I was able to AFK safely without dying, but in MoP I seem to be getting a much lower health. I found having a Tenacity Spirit Beast solved my problem, when he or I got too low health he would heal us. Now, I have some tips on how to solo to get to the farming spot. I play a Hunter so some of these tips may be for Hunters mainly. First, after entering the dungeon, you can either Camo/Stealth past the first line of mobs, or fight them. After coming out of the first hallway, to your left is the farming spot, however it's blocked off by a tentacle. Just keep going straight, past the guard in the doorway, and onto the elevator and up to the 2nd level. There will be a bunch of naga going down the hall. CC one (if there is a caster CC them) and kill the other one. Deep Murlocs will spawn eventually, AOE them down every now and then to keep from dying, but don't waste all your time on them, as they will keep respawning. There will be larger groups of naga here, which can prove to be difficult. CC one of the casters and down them one at a time. If you have an aggro reset like Feign Death, you can just kill one or 2, then reset when it becomes too much and then kill the rest of them. There's also a group of Deep Murlocs running around, AOEing them down on your way can give you some good Charms as well. Once you reach Lady Naz'jar, the main fight is pretty simple. If you can, run around in circles around her to keep from being hit by her abilities. Either interrupt her Shock Blast or just heal through it. The point where she summons guards, I found the best way for me was to CC one of the casters, kill the other caster, then down the melee naga. Once you've killed her, all that's left is to leave the room the way you came, skip around the faceless boss, and port down. Then just run to the camping spot! Like Frpw said, they are high enough to be farmed ONLY on HEROIC. Was a bit tough, downed first boss, skipped 2nd boss, the groups of naga with the healers were tough so I used the engineer Invisible field tinker on my belt to get past them. Lightning shield takes down 1/3 of them, and magma totem the rest. Mostly have to watch my health! If you're a shaman like me, glyph for Telluric currents to get your mana back up from all the healing! Also, make sure you pick the talent Stone Bulwark Totem and Primal Elementalist to help out! Yesterday and Monday they did, but after server reset it has been fixed. Этот NPC может быть найден в следующих зонах: Трон Приливов (2).